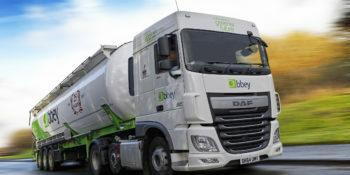 Abbey’s tank wash facilities in Liverpool and Hull were developed to give Abbey complete control of the quality of cleaning for our fleet of tankers. Due to the nature of the products we carry, it is vitally important that our tankers are washed to a standard that exceeds legal compliance, and thanks to the wealth of knowledge we have in food grade logistics, we can apply this knowledge to both our own and third-party tanks. We provide tank cleaning services and livery wash facilities for road tankers, ISO tank containers, intermodal bulk containers (IBCs), refrigerated containers and most other commercial containers. 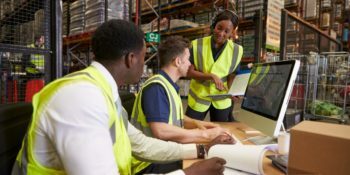 Our processes are fully supported by our ISO9001 accreditation and approved under ISO14001 Environmental Management Systems and OHAS18001 Health and Safety Management. Our tank cleaning station in Liverpool provides arguably the fastest wash available in Europe and the fully automated wash cycles enable us to clean three standard 32,000 litre tankers every 30 minutes. All of our cleaning station team undergo rigorous food hygiene training and work to strict wash cycle guidelines developed in partnership with our customers to ensure maximum quality and compliance.